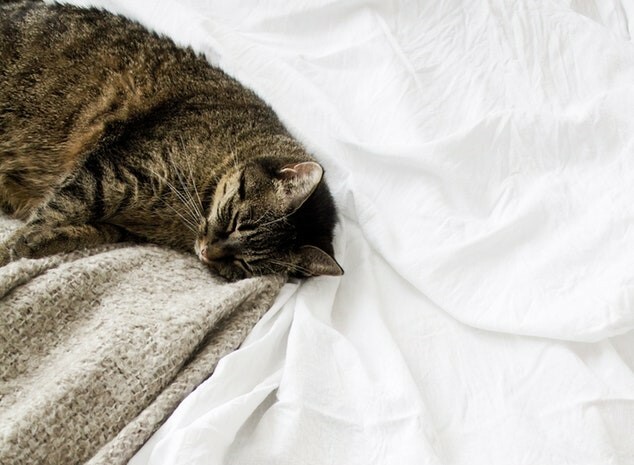 Imagine after a long day, you head off to bed only to find your favourite family feline has taken a pee on your freshly laundered sheets…again. If you’ve been unfortunate enough to experience this, you’ll know how upsetting and frustrating it can be. Not to mention all the extra work it creates having to wash the items over and over. So, the question stands, how do you stop your cat from peeing on your bed? In this article, we’ve found four of the best ways, as suggested by other pet owners, to get your cat to move their business elsewhere! 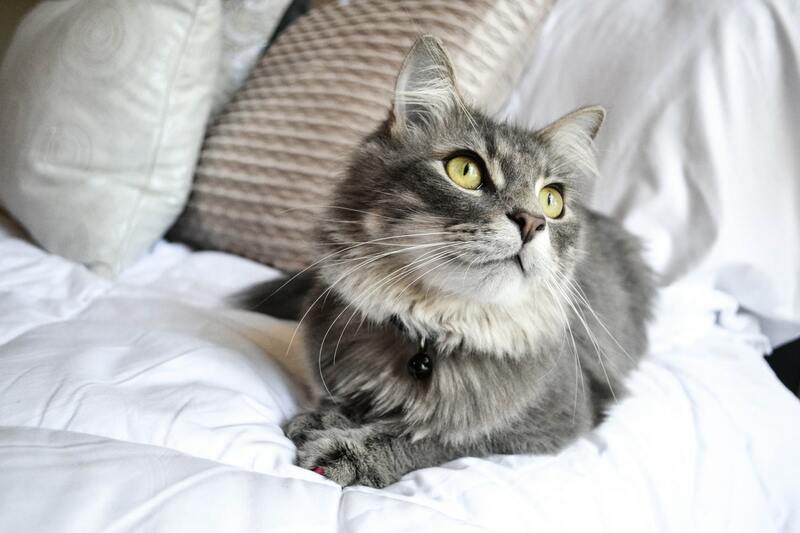 To stop your cat from peeing on the bed, you will need to encourage it to use the litter box instead. A dirty litter box is the most common reason why cats start urinating in other places. If your cat has a dislike for their litter box because it's dirty, then you will need to clean it more regularly. 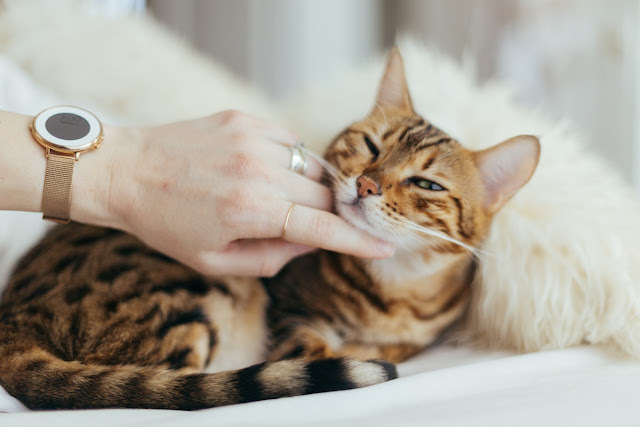 Other ways to make the litter box a more attractive choice is to change your cat litter, do not use an undercover litter box and correctly size the litter box for you cat. Probably nobody needs to tell you this twice. Cats will return to pee if the area already smells like pee. Regardless of what is causing the problem, you have to remove the smell of urine. If your cat continues to smell the pee, they will continue to urinate in that spot. 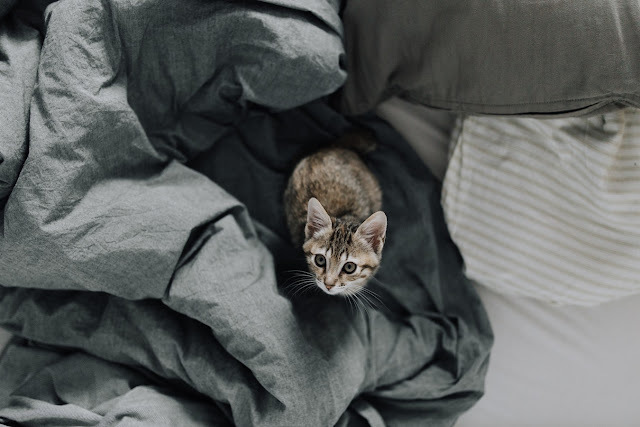 Stopping your cat from returning and peeing can be done in a number of ways but we suggest using a cleaner that will not be harmful to your pets and keeping them away from that surface. 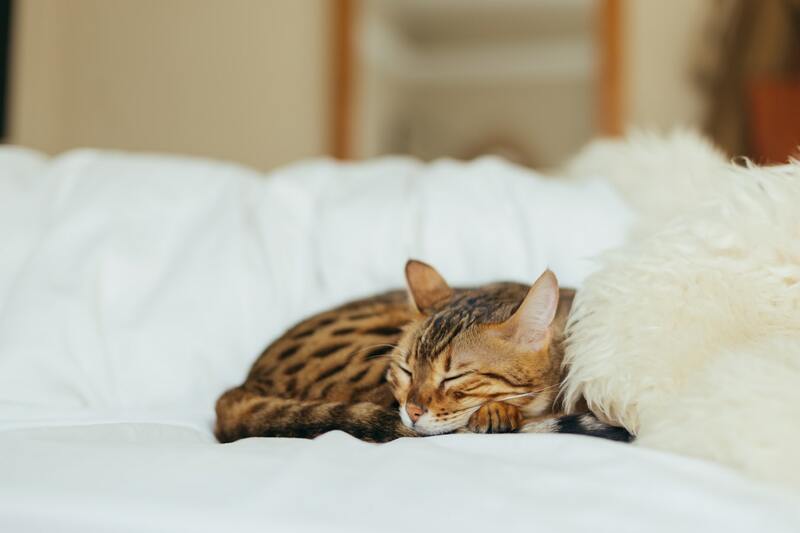 So, your cat urinates on your bed? Start playing with your cat on the bed and giving out treats there. Your fur-friend will eventually learn to associate the bed with food instead of a toilet and won’t want to soil their new treat location. Instead of training your favourite feline to stop urinating on your bed or trying to make the litter box seem more attractive, you could simply just train your cat to urinate in a more favourable place – the toilet. This can be done by training your cat with a toilet kit. Training a cat to use the toilet kit is not as odd as once thought, and most cat owners are finding themselves choosing this option as it is easy and mess free.